There are clear signs that the kidnapping of the still-missing American journalist, Jill Carroll was a political act closely tied to U.S. interests relating to the Sunni opposition in Iraq. The 28-year-old freelancer for The Christian Science Monitor was ambushed by gunmen in Baghdad last Saturday morning. Her Iraqi interpreter, who carried press ID was killed during the incident. No group has claimed responsibility. On the face of it just another of Iraq's many kidnappings. But when we examine the timing, location and events subsequent to the abduction, they point to collusion involving the U.S. --or worse still, an American-inspired 'Black Ops' gambit. The very day Jill Carroll was taken, President Jalal Talabani said that Iraq's political groups could form a coalition government within weeks. Forming a government including Sunnis is a key American goal because it could rob the resistance of political support. But the Association of Muslim Scholars(AMS), which is the intellectual backbone of the Iraqi resistance, is a significant impediment to the formation of such a government. The following day, Sunday morning, before dawn and ahead of a meeting between Talibani and Adnan al-Dulaimi, the leader of the largely Sunni Iraqi Accordance Front, U.S. troops raided the Umm al-Qora mosque complex, headquarters of the AMS. They used explosive charges used to blow out door locks, smashed windows, arrested half a dozen people and ransacked offices. Later that Sunday, following that high-level meting with President Talibani, al-Dulaimi said significant progress had been made in their efforts to form a government of national unity. "Talabani and I have an identical point of view regarding the formation of a national unity government based on consensus,'' al-Dulaimi said. To one AMS suporter, the motivation for the raid was clear. "This crime came as punishment for the association's position on the occupation and its position on the latest elections," said Sheik Younis al-Ekaidi. 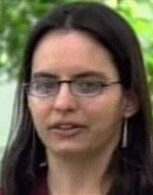 But the U.S. military told Agence France Presse that the raid was linked to the hunt for Jill Carroll. Lt. Col. Barry Johnson, a U.S. military spokesman, said the raid was ordered "as a direct result of a tip by an Iraqi civilian that activities related to the kidnapping were being carried out inside the mosque." However, giving the lie to this U.S. claim, as Aljazeera reported, on the same Sunday morning U.S. and Iraqi forces raided villages in Abu Ghraib area west of Baghdad. The villages are the home of the Zowba tribe to which Shaikh Harith al-Dhari, who heads the Association of Muslim Scholars belongs. The AMS have always been a significant player in Iraqi resistance politics, and a thorn in the side of U.S ambitions in Iraq. BreakForNews.com was the only Western media outlet to report that in January, 2004 then US ambassador to Iraq, John Negroponte met with AMS leader Dr. Al-Dhari, to discuss Iraqi security and the upcoming elections to which the AMS was opposed. The account of their meeting was carried in an interview with Al-Dhari by Mohamed Al-Anwar, published in the Jan 20-26 edition of Cairo's Al-Ahram. Al-Dhari said the meeting had been arranged through French diplomats at Negroponte's request. He confirmed that his group offered to reverse its position on the election, once given a timetable for an American forces withdrawal. That meeting is a sign of the pivotal role of the AMS, and opens up another possibile motivation for last Sunday's U.S. raids. 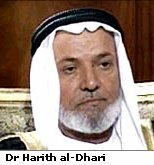 That they were part of a 'carrot and stick' strategy to pressure al-Dhari and the AMS, while simultaneously hacking a deal with al-Dulaimi's wing of Sunni political expression. And that the claimed search for Jill Carroll was the convenient pretext on which to raid the mosque. Which raises the question of who exactly abducted the reporter, with such exquisite political timing. The kidnapping of Jill Carroll took place within yards of the office of Adnan al-Dulaimi, whom Carroll had been scheduled to interview at 10 a.m. Saturday, according to her driver. Mr. al-Dulaimi, however, never showed up for the interview. After 25 minutes, Carroll and her interpreter left. They were waylaid as they drove away from his offices. "It was very obvious this was by design," said the driver. "The whole operation took no more than a quarter of a minute. It was very highly organized. It was a setup, a perfect ambush." One kidnapper pulled the driver from the car, jumped in, and drove away with others crammed into the rear of the vehicle around Carroll and her interpreter. "They didn't give me any time to even put the car in neutral," the driver said. The body of the interpreter, Allan Enwiyah, 32, was later found in the same neighborhood. He had been shot twice in the head. He was discovered by one of the guards stationed outside Dulaimi's office, who told AFP he heard nearby gunshots and rushed to find the body. Media reports say Jill Carroll's car was stopped about 300 yards from al-Dulaimi's office. But the Washington Post is likely more correct to put the distance at a few hundred feet. The driver said he hadn't gone far enough to shift the car beyond third gear, and that he initially thought the men were guards clearing the route for a convoy going to or from the office of al-Dulaimi. So what if the kidnappers were indeed connected to al-Dulaimi? AFP reports that al-Dulaimi himself told the agency he had no appointment to meet a Western journalist. But who better to arrange the false meeting which lured the journalist to the site of the kidnapping than some al-Dulaimi staffer? And once in the web, she would never leave the environs of al-Dulaimi's offices. Of course, one could argue that all this may have been an idea concocted by al-Dulaimi or his associates. And that the alleged tipoff to U.S. foces which led to the raid on the AMS headquarters was another ploy by the same elements. But, U.S. commanders are unlikely to be so dumb as to fall for a transparent smear, and then mount a high-profile raid on the politically-sensitive AMS mosque --all without realizing they were being made dance to someone else's political tune. Plus there is the matter of the simultaneous U.S. raid on the AMS leader's home village. It looks like either the U.S. was willingly used, or because it suited their agenda anyway, that more likely some Black Ops element of U.S. forces were in on the upcoming abduction from the start. Either way, it doesn't look good for Jill Carroll, who has been kidnapped in the same part of Baghdad where Margaret Hassan, an aid official, was abducted in 2004. Hassan has never been released and is believed killed by her abductors. A great friend to ordinary Iraqis, Hassan's abduction has been tainted by similar suspicions about U.S. Black Ops involvement. It's not a good omen. Jill Carroll herself authored two articles for the Christian Science Monitor in April of last year, which are tragically ironic in retrospect. One entitled "Iraq's rising industry: domestic kidnapping" was about the discovery of the bodies of 50 alleged kidnapping victims in the Tigris River. She quoted one victim of a kidnapping by extremist Sunnis, who told her: "I could never imagine some day I will face such a tragedy." They are words she might well use herself today -if she is still alive. "One of my favorite memories of her was when I was sitting in the middle of the Palestine Hotel lobby in Baghdad, surrounded by a confusing swirl of soldiers, officials, and reporters. Fear swept over me. What was I doing here? I had come as a freelancer, with no experience covering a war. Just as I was quietly freaking out, Marla appeared in the dusty, harried scene. She was the picture of calm in a perfect French braid and long blue dress. She was like a breeze blowing through, so tranquil, so clean. My friend Scott... said no one had heard from Marla since about 2 o'clock that afternoon. The other journalists and I all feared a kidnapping. Then we got a call from the US military saying a woman fitting her description had been in an accident, ....they said the woman was dead on arrival. The only thing we can say now is at least she died doing what she wanted, doing what she really, really believed in." "All I ever wanted to be was a foreign correspondent," Carroll wrote last year in the American Journalism Review. She too was doing what she wanted. "Jill, good for you. You're working so hard. I'm so proud of you." Has Ariel Sharon Been Dead Since December, 2005?